Mara Dyer doesn't believe life can get any stranger than waking up in a hospital with no memory of how she got there. Ok, what?? Wait....WHAT???? Can someone please explain to me what I just read because my mind has been scrambled by this book. I just don’t even know what to think about The Unbecoming of Mara Dyer . I spent the entire time reading it, trying to figure out what on earth was going on, my mind was spinning the entire time, trying to put together the pieces, and now that I’m finished, I still don’t know. But what makes me really crazy is….I still loved it. How could Michelle Hodkins do this to me? I don’t think I’ve ever been so tormented by a book before in my life! Ok, so I loved the writing. From the first page I was hooked. No, even before the first page. From the cryptic letter that Mara wrote before the story even started! Michelle’s writing just clicked with me. Mara just clicked with me. Even though she might possibly be insane, I found myself just loving her. She’s smart and witty, and she won’t take crap from anyone. And, wow, do I love Noah!! Talk about too good to be true (except for the smoking, which is completely gross, and I chose to ignore)! I won’t talk too much about him, because I just really enjoyed finding out about him right along with Mara, but he’s seriously made it to the top of my book-crush list! There have been some comparisons of Noah to Patch from Hush, Hush, but I don’t really see this at all. I mean, I’m seriously anti-Patch, and there are definitely times where I thought he was too arrogant and cocky for his own britches, but the big difference here is Mara. Mara is no Norah. Mara will NOT put up with, or be swayed by his arrogance. It isn’t until Noah shows his true self, his compassionate self, that she begins to fall for him. And really, he is no Patch. Trust me! I’m not going to say too much about this book because I think it’s best going into it without knowing a whole lot. I think that’s why the summary is so vague. I don’t even really know how to classify the book. Is it a contemporary? A mystery? Paranormal? A ghost story? Is she crazy? Is she “gifted?” Is she a victim? Is she a murderer? Are all of these true? Are none of them true? And holy freaking CLIFFHANGER!! I have been assured by Michelle that she “has a plan” and to trust her. I guess I’ll just have to wait for the next book to get the answers I’m looking for. I just hope I can wait that long without pulling my hair out. Oh, yeah....and there's alligators. 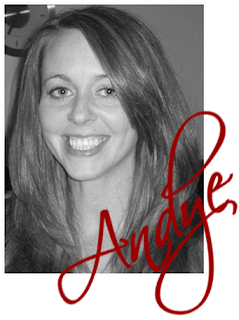 So, overall, amazing writing, compelling story, hard-core MC, a whole lot of "what the cuss? ", plot twists and pretzels, completely un-put-downable, but I sure wish there was some resolution, some satisfaction in the end. And I'm afraid I'm going to have to re-read the book before the next one comes out in order to remember all the important details. Michelle also mentioned on Twitter that there would be some significant changes in the finished copy, so I'm interested to see what those are. 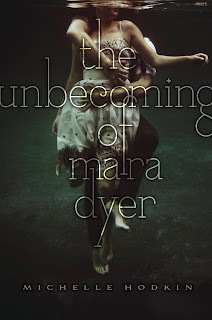 For more details, check out The Unbecoming of Mara Dyer on Parental Book Reviews. I have been hearing amazing things about this book, but never that it left you spinning and confused! But I am still super excited to read it. I have entered like 10 giveaways trying to get my hands on a copy! Significant changes? So I'll have to read it twice...interesting. lol. I'm very very excited to read this one, I've heard nothing but amazing things about it, everyone seems to love the characters and the writing. I need a copy, like yesterday. great review! :D so excited for the book. This is the first review of this book I finally stopped and read. You've totally got me interested now!!!!! Interesting, interesting. I borrowed this from Heidi from YA Bibliophile. I will be reading it next! Excited! What is it with the crazy lately? Is that was is trying to edge out angels? I am a bit to shy to try out another crazy novel. So far they have all been disappointing. I hated Patch too. But somehow I found myself reading the sequel. You have done such a great review I might almost give this book a try. I'm dying to read this! I'll admit the first thing that interested me was the cover. It's gorgeous! But I'm intrigued by the oddness of it. How about we stop throwing Patch down in the dirt and referring to him as "cocky". Or as someone lovingly referred to him as "abusive". That's what really makes me sad. I thought he was a great character and he had a bad past, so I'm sorry if he's got a few issues. To me you're saying that people who had a hard past aren't allowed to have problems that affect them in the present and future. If you would have actually read the series you would see that his character has developed and his loving and caring. He's actually one of my favorite book characters ever. I find him inspiring that he was able to overcome his past. I agree with anon ^^ quit being pricks about his character development. I'm really tired of it.